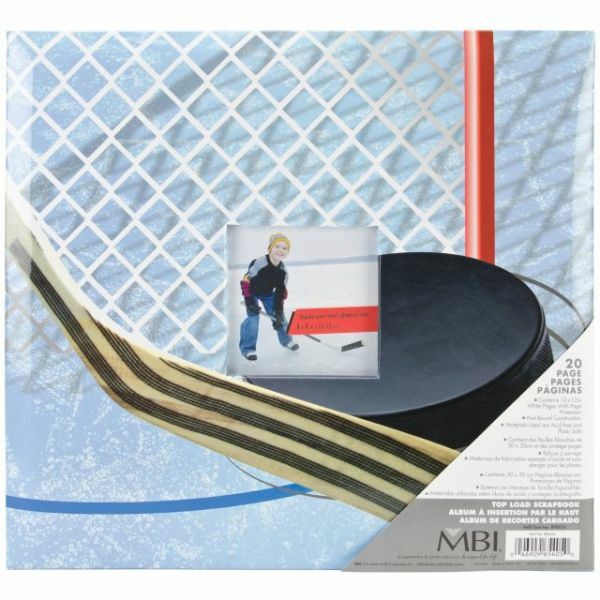 Sport & Hobby Post Bound Album 12"X12" - MBI-Sport & Hobby Postbound Album: Hockey. Perfect for all your scrapbooking needs! This package contains one 12-1/2x13-1/2 inch postbound album with a hockey background, twenty 12x12 inch white pages in page protectors and one 4x4 inch pocket for one cover picture. Acid free and photo safe. Imported.